It is hard to argue against the value of Twitter these days, especially for businesses and professionals looking to network and stay ahead of the curve. Like the throngs of designers and developers that have flooded this social media outlet’s streams and sapped its API since its inception. And with so many amazing tools available to expand on, and enhance the overall user’s experience, Twitter is becoming even more useful and handy than ever before. Today we have gathered several valuable resources that can help our readers take their Twitter experience to the next level. To get more out of this powerful business tool than some new followers and potential clientele connections. Hopefully you will find some new apps to dive into through the post, and perhaps even revisit some you had lost touch with. Enjoy! 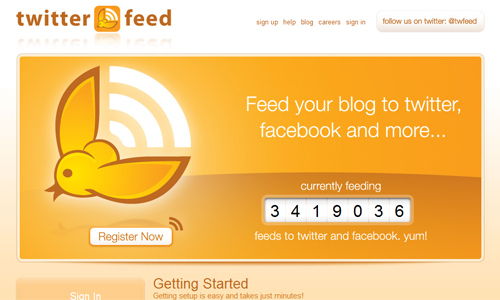 Twitterfeed allows you to automatically send your blog posts to Twitter whenever your RSS feed is updated. 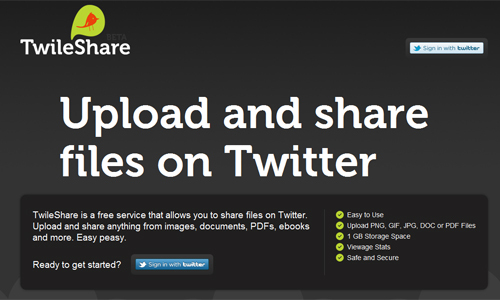 Twileshare allows you to upload and share PNG, GIF, JPG, DOC or PDF files on Twitter. ManageFlitter is a Twitter account manager that allows you to manage who you follow, see who isn’t following you back, find inactive accounts you follow, and easily search inside your Twitter stream. 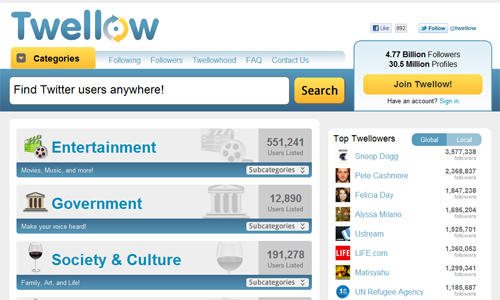 Twellow is the yellow pages of Twitter. Find people to follow with similar interests and add your own info to gain new followers. 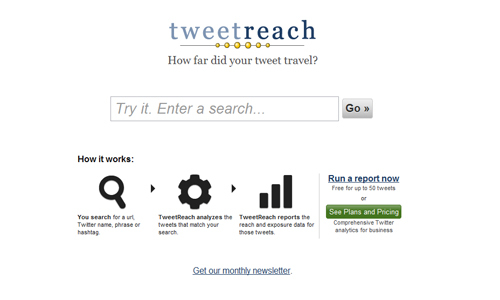 Tweet Reach tells you how far a tweet has traveled. 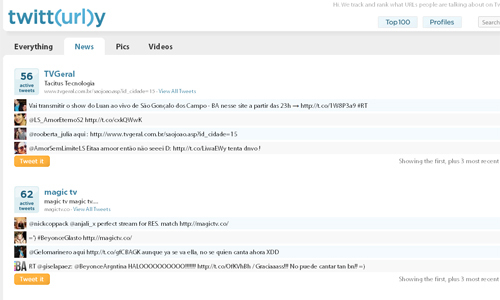 You search for a url, Twitter name, phrase or hashtag and get reports on the reach and exposure data for those tweets. 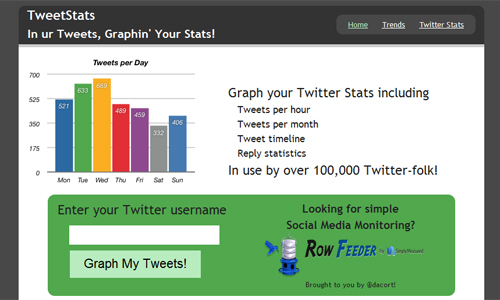 TweetStats shows you the stats of a twitter account in graph form. 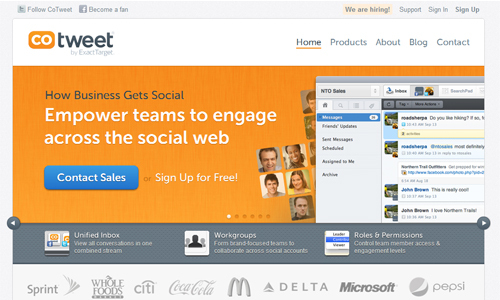 iTweet is an alternative Twitter interface with many enhanced features making it superior to the default Twitter ui. 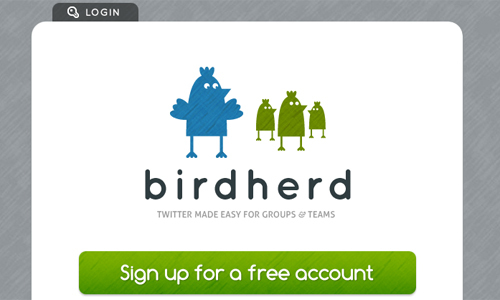 Bird Herd makes it easy for groups, teams and brands to update a single Twitter account by sending a direct message to the group twitter account. 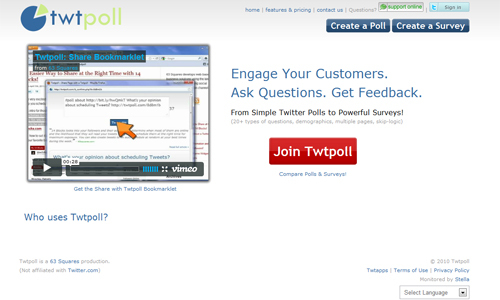 Twtpoll lets you set up polls to engage with and get feedback from your followers. 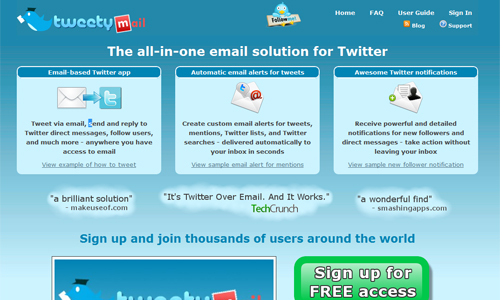 TweetyMail lets you manage your twitter account from your mailbox. You can send tweets and direct messages, follow users, get alerts and notifications and more. 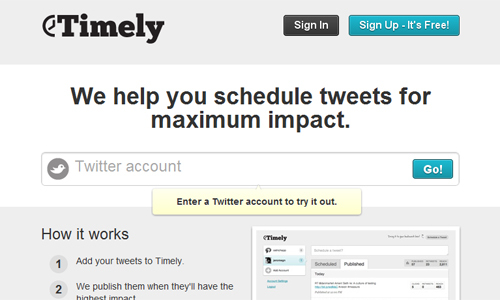 Timely schedules your tweets for maximum impact. You simply add your tweets to Timely and they publish them when they will have the highest impact. Tvider lets you share video, audio and images on Twitter. 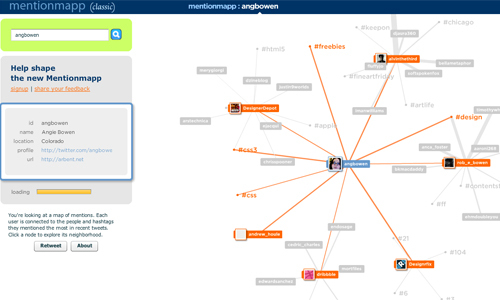 Mentionmapp allows you to enter a Twitter username and get a visual map of the people you interact with and the people and hashtags they mentioned the most in recent tweets. Amazing! I’d never even heard of most of ’em. Sure to be useful– many thanks! This is a fantastic list – every day that I use twitter I find more need for things like this. Thanks for this piece. Love “Timely.” Just what I was looking for. Was looking forward to reviewing iTweet, but it’s UI is so…er…ah…ugly. Too bad. Great list, thanks! I’m going to try several of these tools. A suggestion – Twaitter is pretty good too for scheduling recurring messages. I personally like Buffer to space my Tweets out over a period of time so they don’t come en masse. Wow! Impressive post! Informative, interesting and useful! 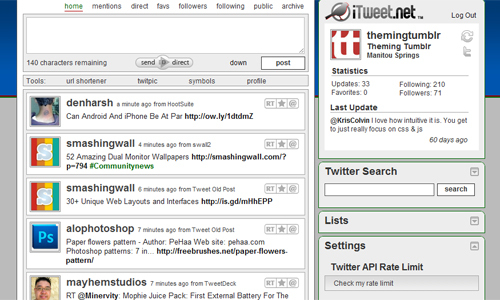 Buffer is not mentioned, but its a great Twiteer Tool!, i really recommend it. What a great list, hadn’t heard of half of these tools. 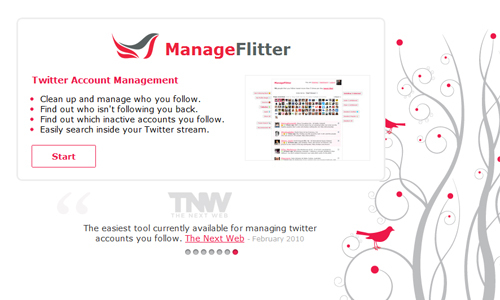 I especially like ManageFlitter. I’d been using unTweeps, but this is much better. Thanks for posting! 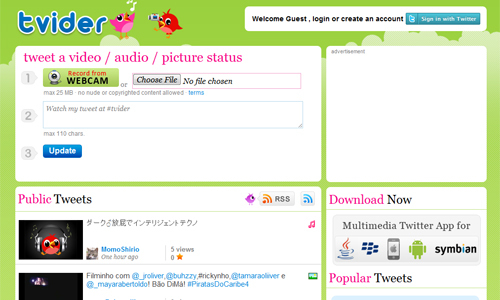 It’s all about using a Bookmarklet whilst browsing twitter.com to see who’s following you and who is too cool for you.